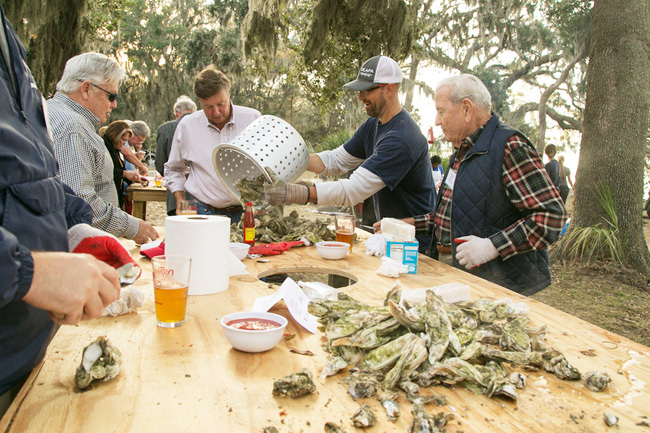 An oyster roast on the banks of the Skidaway River drew more than 200 people on a perfect fall night to celebrate and raise money for Georgia’s first oyster hatchery. 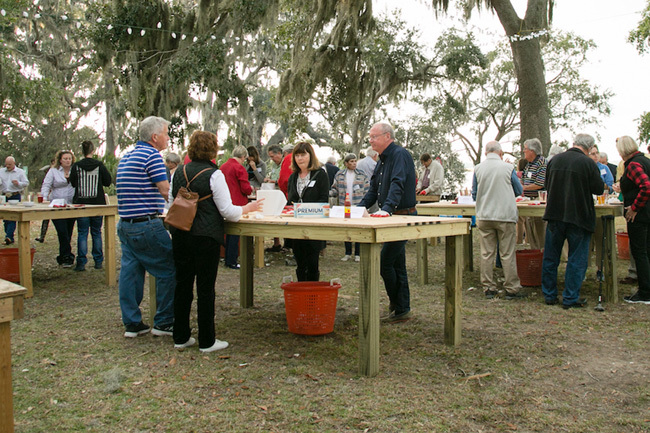 Guests used their commemorative Marine Extension and Georgia Sea Grant shuckers to crack open the wild oysters, served roasted and raw. Local chefs Matthew Roher of Sea Pines Resort and Dusty Grove from Pacci Italian Kitchen roasted Springer Mountain Farms chicken and vegetables. 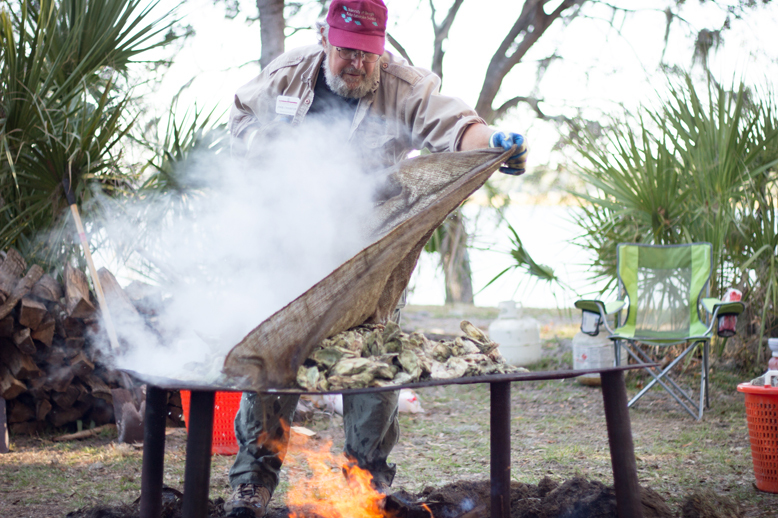 John “Crawfish” Crawford cooks a batch of oysters. SweetWater beer and music by the Accomplices rounded out the evening. U.S. Rep. Buddy Carter, whose district includes Skidaway Island and Savannah, stopped by to enjoy the food and learn more about the hatchery. Supporters enjoy the oyster feast. 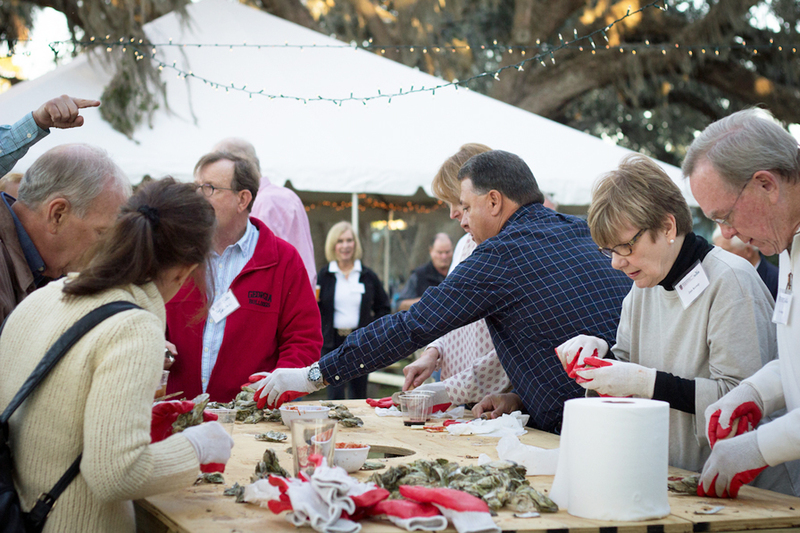 UGA launched the oyster hatchery on its Skidaway Marine Science Campus last year. There they create baby oysters, or spat, which are given to local aquaculturists with state permits to farm along the Georgia coast. So far, the hatchery has produced 700,000 spat, which have been given to 10 growers. The potential harvest value of those will be between $140,000 and $245,000. By 2018, the hatchery is expected to produce between 5 million and 7 million spat per year, with an annual estimated value between $1 million and $2 million.